You already know how important it is for your skin’s health to take your makeup off nightly every night before bed. But are you being cautious about the wayyou do it? When it comes to the already-sensitive, thin-skinned eye area, going too hard when cleansing could lead to some serious long-term damage. The more you fuss over your skin, chances are that you’ll end up with irritated lids, or even cause more skin suffering. It’s essential to keep tugging or rubbing to a minimum when you remove your eye makeup. Over time, both could stretch out the skin around the eyes. This may lead to sagging lids and crow’s feet. Remember: no rubbing. Simply hold a makeup remover-saturated pad or cloth to the area for 20 seconds (letting the product break down your makeup) then swipe away! To protect your eye area, we found seven fuss-free formulas designed to take it all off with minimal effort. 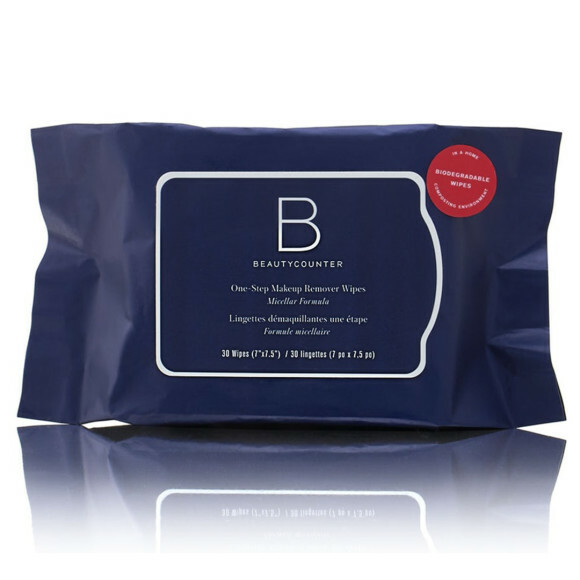 If you’re skeptical about whether or not the Beautycounter® One-Step Makeup Remover Wipes ($20) live up to the name, scan the reviews. The overwhelming consensus from the product’s fans is that they do. The biodegradable cloths use micellar technology, aloe and cornflower water to easily get rid of longwear makeup without any irritation. 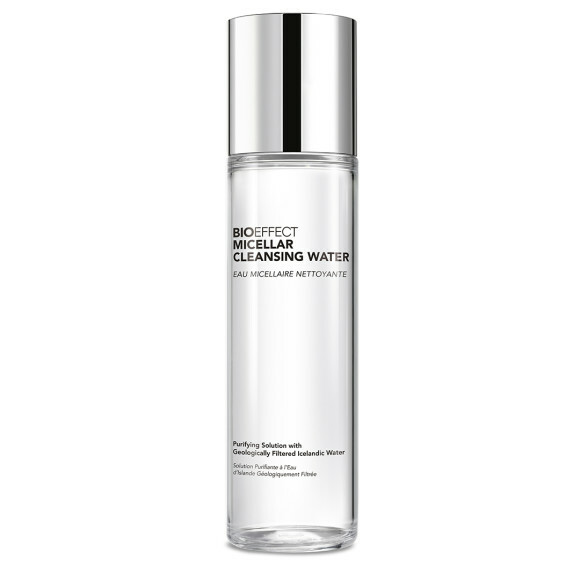 Magnet-like micelle molecules in Bioeffect® Micellar Cleansing Water ($70) latch onto makeup to help pull it off of your face with a lot more ease than a traditional cleanser. The formula is also made with filtered Icelandic water to help soothe sensitive skin. 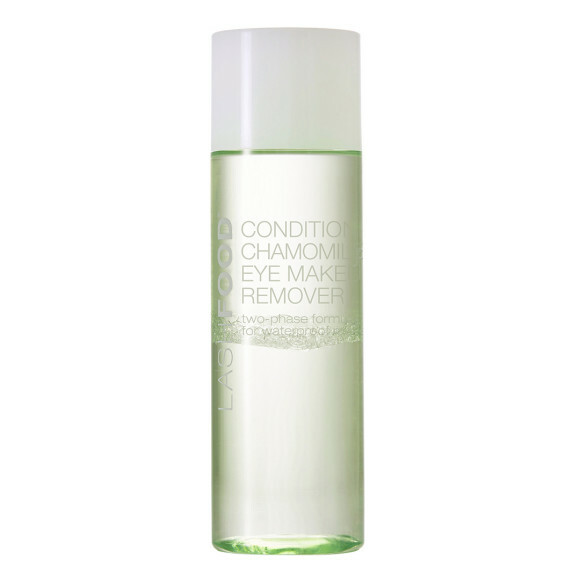 LashFood® is all about eye area preservation and the brand’s Conditioning Chamomile Eye Makeup Remover ($20) is no exception. Not only is the two-phase formula designed to clear away even waterproof mascaras easily, it’s super nourishing, too. Because there are coconut alkanes in the formula, you won’t have to worry about it drying out or destroying your own lashes when you cleanse. 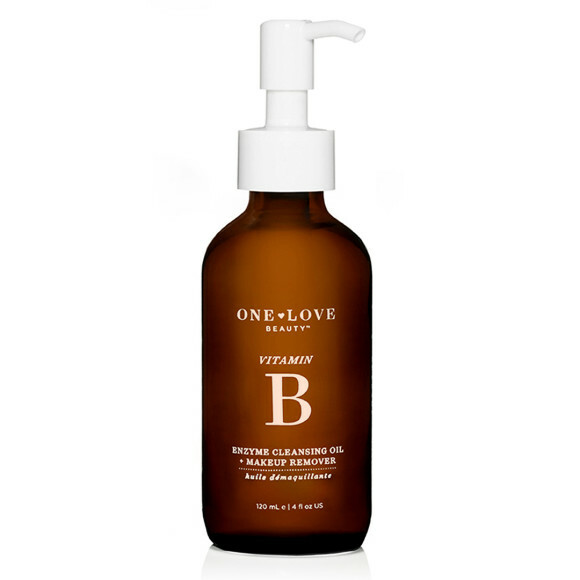 If double-cleansing feels like a chore, grab yourself a bottle of One Love Organics® Vitamin B Enzyme Cleansing Oil + Makeup Remover ($45). Thanks to the hybrid cleansing oil and makeup removing formula, it does what two products can do in one swipe. Plus, it has fruit enzymes to gently exfoliate the skin around the eyes, which ultimately can help fade the look of wrinkles. 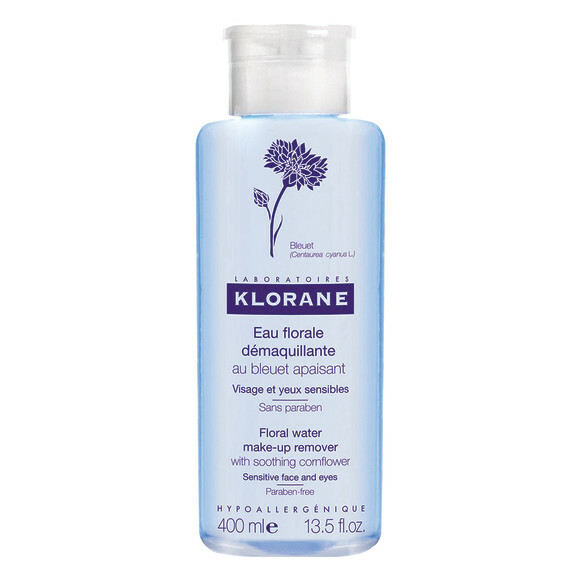 Klorane® Floral Water Make-Up Remover with Soothing Cornflower ($24) proves that you don’t have to be rough to remove even the most difficult of makeup jobs. This product also helps tone skin and balance the pH of your surface, which impacts the efficacy of your other anti-aging products. If you’re a light makeup wearer, you don’t need a heavy-duty cleanser to wipe away away a good paint job. 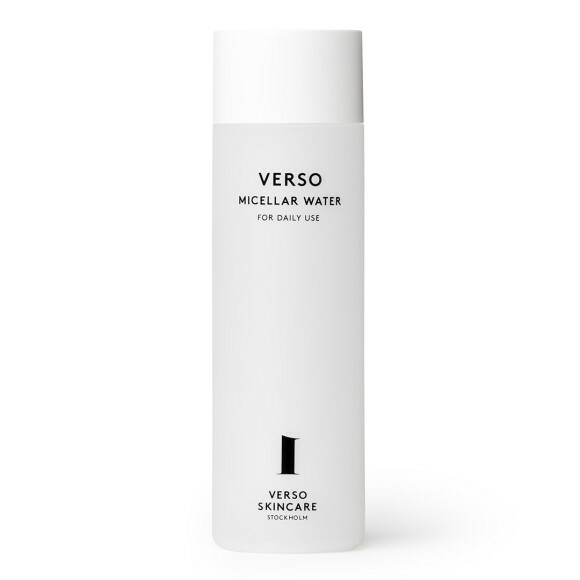 Soak a cotton pad in the Verso® Skincare Micellar Water ($40), hold it over your lids for a few seconds and then swipe. In addition to grime-busting micelles, it contains niacinamide and turmeric to help moisturize, firm, and brighten. Water and oil actually do mix well — for the greater good of easily removing eye makeup. 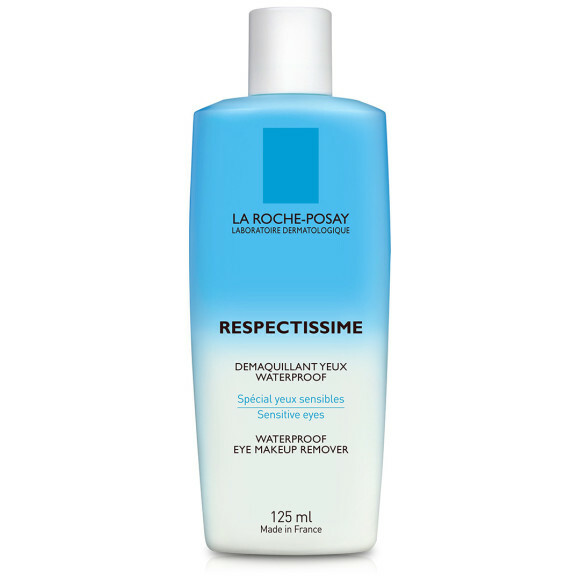 Give the La Roche-Posay® Respectissime Waterproof Eye Makeup Remover ($20) a shake: the biphase formula will melt away layers of color in a snap.